BETTY HARRIS-THE LOST QUEEN OF NEW ORLEANS SOUL. Betty Harris’ recording career lasted just eight years. It began in 1962 with the release of Taking Care of Business, and was over by 1970. After just three minor hit singles, Betty Harris called time on her career. The Florida born singer decided to retire from music, to raise a family. That was the last that was heard from Betty Harris until 2005, when she hit the comeback trail. By then, several of Betty Harris’ singles had found a new audience. I Don’t Want to Hear It and I’m Evil Tonight were favourites within the UK Northern Soul circles. Meanwhile, ballads like What’d I Do Wrong and Can’t Last Much Longer were favourites within the deep soul community. Belatedly, Betty Harris’ music was finding a wider audience. To mark the comeback of Betty Harris in 2005, a compilation of her music was released that year. Entitled The Lost Soul Queen, Betty Harris’ star had been in the ascendancy, and she was regarded by some, as soul royalty. Eleven years later, and that’s still the case. 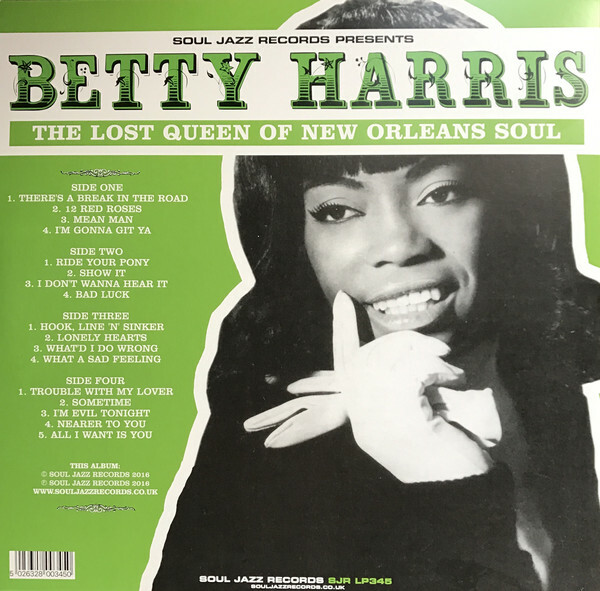 When Soul Jazz Records’ recently released a compilation of Betty Harris music, it was entitled The Lost Queen Of New Orleans Soul. That’s despite Betty Harris never living in New Orleans. The nearest Betty Harris came to New Orleans, was recording for one of the city’s top producers, Allen Toussaint. Betty Harris signed to Allen Toussaint and Marshall Sehorn’s new label Sansu Records in 1964. For the next your years, Sansu was home to Betty Harris. The period between 1964 and 1968 is documented on The Lost Queen Of New Orleans Soul, which was the most fruitful period of Betty Harris’ career. However, her story began in Florida in 1939. That was when Betty Harris was born, to the Revs. Rufus C. Crews and Winifred Crews. With both of her parents ministers in the Pentecostal Church, the Crews’ house was deeply religious. It was also one where music played an important part in everyday life. The Rev. Rufus C. Crews was multi-instrumentalist and singer, who sported a powerful tenor voice. He was also a part time booking agent for a variety of gospel groups and artists. This was a role Rev. Rufus C. Crews would continue, when the family moved to Alabama. When the Crews moved Alabama, Betty was just four. It would be her home for the next thirteen years, and where her father introduced Betty to Rosetta Sharp, Sam Cooke, The Soul Stirrers, Johnny Taylor and The Blind Boys Of Alabama. Soon, young Betty Crews would be following in their footsteps. By the age of twelve, the Crews’ family were living in Alabama. They had moved there when Betty was just four. When she was just twelve, Betty Crews had already sung lead in a choir which had supported Brother Joe May. Already, people were taking notice of Betty. Over the next few years, Betty continued to sing gospel. During that period, she spoke to and learnt from, all the gospel singers who stayed over in the Crews’ household. Despite meeting and learning from some of the biggest names in gospel music, Betty soon came to realise that she didn’t want to make a career out of gospel music. Realising that there was little money to be made in gospel music, Betty Crews wanted to crossover and sing secular music. She was listening to the music coming out of Nashville, Tennessee. This was when Betty realised there was more to music than gospel. So around her seventeenth birthday, Betty began plotting how she could escape from Alabama. It was around this time that Betty saw an advert in the local paper, advertising jobs for maids in a New Jersey hotel. So Betty packed her bags and headed to New Jersey. Once there, Betty and her future colleagues decided to head out to a local nightclub. That was when Betty made her debut as a singer, and was spotted by producer Zell Sanders. He recruited Betty Harris to become the lead singer of The Hearts. They released their debut single Like Later Baby later in 1958. It failed commercially, and The Hearts’ recording career came to nothing. Betty’s nascent musical career had hit the buffers. So in 1960, Betty Harris decided to move to New York. Before long, Betty was singing in some of the Big Apple’s smaller clubs. When she was finished her set, Betty would head to venues like the Apollo, where she would study the technique. One night, when Betty arrived at the Apollo, Mabel Louise Smith. a.k.a. the R&B singer Big Maybelle was about to go on stage. Betty watched and was captivated as Big Maybelle unleashed a vocal powerhouse on Candy. So impressed was Betty Harris met, that later, she headed backstage to introduce herself to Big Maybelle. Having introduced herself to Big Maybelle, Betty Harris asked if she could study her technique. Big Maybelle agreed, and took Betty out on the road, where she became the young singer’s mentor. It wasn’t just technique and stagecraft that Big Maybelle taught Betty, it was how to conduct herself. Over the next few weeks, Big Maybelle coached Betty Harris. She also had a powerful vocal, and Big Maybelle helped Betty harness her powerful vocal, and improve her technique. This they continued to do on a two week tour. It began in Chicago and headed to Tennessee, before ending in Chicago. That was where Betty Harris landed a job, and would record her debut single. This included recording her debut single. Now living in Chicago, Betty Harris got her break when she recored Taking Care Of Business for Douglas Records. Taking Care Of Business was released in 1962, and failed to make any impression commercially. Betty Harris’ time at Douglas Records was over after just one single. Fortunately, Betty Harris met Solomon Burke’s manager, Marvin Leonard ‘Babe’ Chivian. He introduced Betty to Bert Sterns, who had produced Solomon Burke’s hit single Cry To Me. Bert Berns was a songwriter and producer, who was housed within the famous Brill Building. He cowrote a string of classic songs, including Under The Boardwalk and Piece Of My Heart. Among Bert Berns’ various songwriting partners, were none other than Leiber and Stoller. However, Bert Berns wasn’t just a songwriter; he was also a producer, who would transform Betty Harris’ fortunes. For Betty Harris’ debut for Jubilee Records, Cry To Me was chosen. It gave Solomon Burke a hit single a year earlier. The man who had produced Solomon Burke hit single was none other than Bert Berns. He took a different approach to Cry To Me this time around, dropping the tempo. In Betty Harris’ hands Cry To Me became a heart wrenching ballad, which later, would become a deep soul classic. Before that, Cry To Me was released on Jubilee Records. Cry To Me reached reached twenty-three in the US Billboard 100 and number ten in the US R&B charts. Considering this was merely Betty Harris’ sophomore single, this was a good start to her nascent recording career. For the followup, His Kiss was released on the 4th of January 1964. Although it was another deep soul ballad, His Kiss stalled at the lower reaches of the charts. This was a disappointment for Betty Harris. Although His Kiss hadn’t come close to matching the success of Cry To Me, Betty Harris was a popular live draw, and even had topped the bill at Apollo Theatre, in New York. Betty who had shared the bill with Sam Cooke, Aretha Franklin and James Brown seemed to be going up in the world. So the oft-covered Mojo Hannah was chosen to be Betty’s next single. Mojo Hannah which was released later in 1964, became Betty Harris’ third single for Jubilee Records. It was merely a minor hit, and proved to be Betty Harris’ swan-song for Jubilee Records. What happened next is the subject of debate. After Mojo Hannah, Betty Harris was still signed to Jubilee Records. Betty had met New Orleans based singer, songwriter, arranger and producer Allen Toussaint. He was about to launch a new record label, with his business partner Marshall Sehorn. That label was Sansu, which was based in New Orleans. Allen Toussaint wanted Betty Harris to sign to the new label. So did Marshall Sehorn; who Betty alleges told her than he had bought her Jubilee Records’ contract out. She alleges that this was not the case, and that she was still under contract to Jubilee Records when her career at Sansu Records began. To record her Sansu Records’ debut, Betty Harris flew from her home in Florida to New Orleans, where she spent a month living in the city’s Mason’s motel. Much of the time was spent recording with producer Allen Toussaint. He put together a band that featured some of the Big Easy’s top session musicians. The initial sessions didn’t go well. Betty didn’t like recording the songs live, and preferred working with backing tapes. This was a lesson learnt for future sessions. Backing tracks would be recorded, and then the vocals would be added. 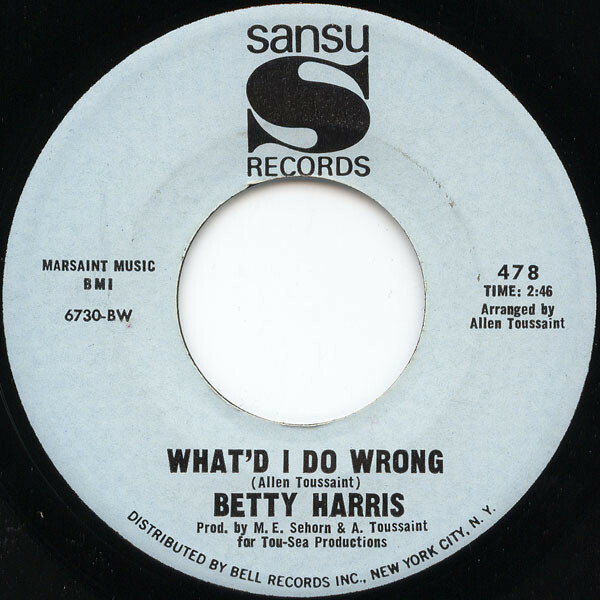 However, during the first recording sessions, the tracks were recorded live, including What A Sad Feeling which became Betty Harris’ debut single for Sansu Records. What A Sad Feeling, a soul-baring ballad would be the first of just ten singles Betty Harris released on Sansu Records. It features on The Lost Soul Queen compilation. 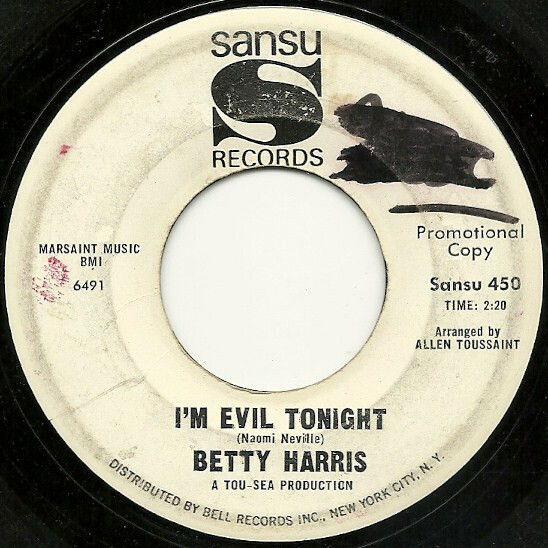 So does the B-Side I’m Evil Tonight, which features a vocal powerhouse from Betty Harris. Alas, when What A Sad Feeling was released in 1965, it failed commercially. While the single found an audience within New Orleans, elsewhere it was a different story. 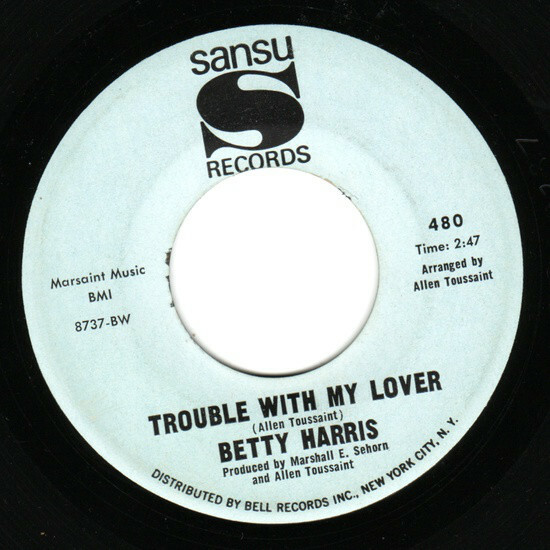 Sansu Records was just a small independent label, with neither the financial muscle nor marketing expertise to give Betty Harris another hit single. This would be a familiar story. 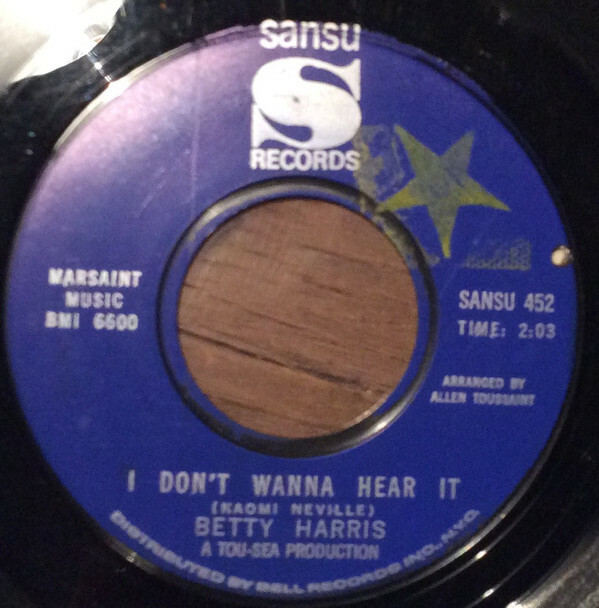 It wasn’t until 1966, that I Don’t Wanna Hear It was released as Betty Harris’ second single for Sansu Records. Just like What A Sad Feeling, it failed to find an audience outside of the Big Easy. However, later, I Don’t Wanna Hear It would become a favourite with the UK’s Northern Soul scene. Tucked away on the B-Side was Sometime, a ballad, where Betty’s vocal veers between tender to hurt filled and powerful. Strings and harmonies accompany Betty on a track that deserved to fare better than a B-Side. Later in 1966, Betty Harris returned with the Allen Toussaint penned 12 Red Roses. It was an uptempo fusion of soul and funk. On the flip side was another Allen Toussaint composition, What’d I Do Wrong. This future deep soul classic, was without doubt a much stronger track. Why it wasn’t chosen as a single seems strange? Maybe if Sansu Records had released What’d I Do Wrong as a single, it would’ve found an audience. 12 Red Roses certainly didn’t, and it was now two years since a Betty Harris song even troubled the lower reaches of the chart. During 1967, Allen Toussaint saw Art Neville and The Neville Sounds playing on Basin Street. Straight away, he realised that here was the band he wanted to play on the Sansu Records’ releases. By then, Sansu were recording at Cosimo Matassa’s state of the art eight-track studio. This was where the Neville Sound was born. Betty Harris would be accompanied by Art Neville and The Neville Sounds. It wasn’t until later in 1967 that Betty Harris released her fourth single for Sansu Records. The song chosen was the ballad Lonely Hearts, which could only have been recorded in New Orleans. Horns and harmonies accompany Betty, as she delivers an impassioned, heartfelt vocal. On the flip side was Bad Luck, a mid tempo slice of R&B. Just like previous singles, Lonely Hearts made no impression on the charts. However, Betty Harris’ luck was about to change. For her second single of 1967, the ballad Nearer To You was chosen. It features an atmospheric, Southern Soul arrangement. It’s one of Betty Harris’ finest moments, is helped no end by Allen Toussaint’s arrangement. On the flip side, I’m Evil Tonight made a reappearance. When Nearer To You was released, it entered the US Billboard 100. However, it stalled at a disappointing eighty-five. Nearer To You deserved to fare better, and was a case of what might have been? What if had been released on Atlantic Records or even Stax? Given the success of Nearer To You, Sansu Records were keen to build on the relative success of the single. So later in 1967, Can’t Last Much Longer was released as a single. On the B-Side was I’m Gonna Git Ya. Only I’m Gonna Git Ya features on The Lost Soul Queen compilation. It features another heart wrenching vocal powerhouse from Betty Harris, while horns and harmonies accompany her. It’s a welcome addition to The Lost Soul Queen compilation. Alas, Can’t Last Much Longer never even came close to troubling the US Billboard 100. That’s despite Betty Harris spending much of 1967 on tour. During 1967, Betty Harris toured with Otis Redding, Carla Thomas and Bettye Swann. They played tour fifty-three dates, before Otis Redding died in a plane crash. For Betty this was a tragedy for several reasons. She had become friendly with many of the artists on the tour, including Otis Redding. He had also cofounded a new management company with Phil Walden, Redwal Enterprises. The new company was going to manage some of the biggest names in soul, including Percy Sledge, Sam and Dave and Wilson Pickett. Betty Harris who was about to embark upon a European tour with Otis Redding, had signed a management contract with Redwal Enterprises. After the death of Otis Redding, this came to nothing. Despite this, Betty Harris’ recording career continued. She released Love Lots Of Lovin’, a duet with Lee Dorsey in 1968. It failed to make any impression on the charts. Neither did the former B-Side What’d I Do Wrong when it was belatedly released as a single later in 1968. On the B-Side was Mean Man, a fusion of funk and soul, where Betty seems to live the lyrics. By then, she was able to bring Allen Toussaint’s to life. He wrote the songs, and she brought them to life. The only thing missing, was commercial success. Still, it continued to elude Betty Harris. Despite this, Betty Harris released the ballad Hook, Line ‘n’ Sinker as a single later in 1969. Again, commercial success eluded Line ‘N’ Sinker. For Betty Harris, this must have been a frustrating time. On the B-Side of Hook, Line ‘n’ Sinker was Show It, an uptempo dancer. This stomper would find favour within the UK’s Northern Soul scene. However, by then, Betty Harris and Sansu Records had parted company. In 1969, Betty Harris released Ride Your Pony as a single in 1969. Funk meets soul on what sounds like a novelty dance track. On the B-Side was Trouble With My Lover, which ironically, was a slightly stronger track. Ride Your Pony was the tenth and final single Betty Harris released on Sansu Records. Only one of the ten singles had charted, and even then, Nearer To You struggled into the lower reaches of the US Billboard 100. The Sansu years hadn’t been the most successful of Betty Harris’ career. However, Allen Toussaint and Betty Harris had one last roll of the dice. When it came to recording There’s A Break in The Road, Allen Toussaint brought onboard The Meters. They unleashed some of their trademark heavy duty funk. It was the perfect backdrop for Betty Harris, as she delivered a vocal that’s a mixture of power, frustration and sass. The single was originally meant to be released on Sansu. However, Allen Toussaint decided to license There’s A Break in The Road to Shelby Singleton’s SSS International label. It was a larger label, and it might result in a change of fortune for Betty Harris. There’s A Break in The Road was released in 1969. It was without doubt, one of Betty Harris’ best singles. Despite the undoubted quality, and the decision to release There’s A Break in The Road on SSS International, the single failed to find an audience. It was all too familiar a story for Betty Harris, and marked the end of her recording career for thirty-six years. In 1970, Betty Harris decided to retire from music, and concentrate on bringing up her family. By then, she was thirty-one, had been making music since the late-eighties. Apart from four minor hit singles, Betty Harris’ career had been a case of what might have been? Through no fault of her own, Betty Harris had underachieved. Sansu was just a small independent label, with neither the financial muscle nor marketing expertise to promote Betty Harris singles. While each of the ten singles Betty Harris released for Sansu Records sold reasonably well within New Orleans, they never found an audience further afield. That was the case between 1965 and 1969, when Betty Harris released ten singles on Sansu Records. Only Nearer To You charted, but only reached a lowly eighty-five in the US Billboard 100. This must have been hugely frustrating for Betty Harris. Maybe it was no surprise when Betty Harris turned her back on music in 1970? That was the last that was heard from Betty Harris until 2005, when she hit the comeback trail. By then, several of Betty Harris’ singles had found a new audience. I Don’t Want to Hear It and I’m Evil Tonight were favourites within the UK Northern Soul circles. Meanwhile, ballads like What’d I Do Wrong and Can’t Last Much Longer were favourites within the deep soul community. Belatedly, Betty Harris’ music was finding a slightly wider audience. That’s still the case today. 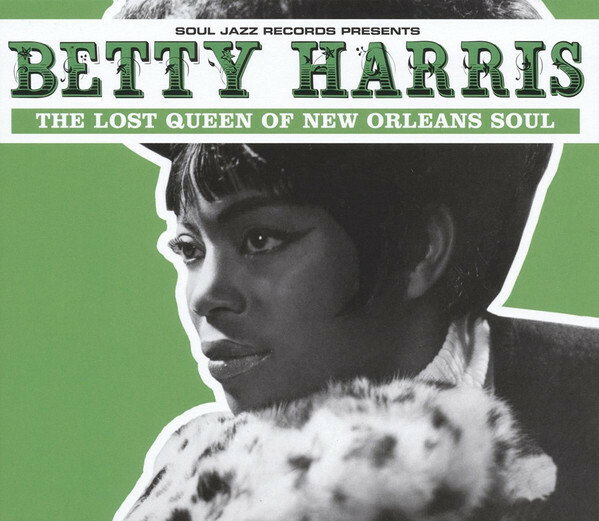 So it’s no surprise that Soul Jazz Records’ recently released a new seventeen track compilation of Betty Harris music, The Lost Queen Of New Orleans Soul. It shows the two sides to Betty Harris’ Sansu Records’ years. Ballads and uptempo tracks rub shoulders on The Lost Queen Of New Orleans Soul. This includes a couple of ballads that would later become deep soul classics, and several uptempo tracks that would find favour on the UK’s Northern Soul scene. These tracks are a reminder of the what proved to be the most productive years of Betty Harris’ career. During that period, Betty Harris music epitomised everything that was good about the New Orleans’ sound. She was a talented singer, who can breath meaning and emotion into a song. Despite that, Betty Harris isn’t the true Queen Of New Orleans Soul. Far from it. That honour has been bestowed upon New Orleans’ very own, Irma Thomas. For over fifty years, she has been rightly recognised as the true Queen Of New Orleans Soul. During that period, there have been many challengers to Irma Thomas’ crown. This includes Betty Harris. Alas, she neither enjoyed the longevity nor commercial success that Irma Thomas enjoyed. However, Betty Harris, is a talented and versatile vocalist. A reminder of that is The Lost Queen Of New Orleans Soul, which is the perfect primer to Betty Harris who is one of New Orleans’ soul music’s best kept secrets. ← WHATEVER HAPPENED TO JEANETTE JONES? Thank you for writing such an excellent review of my good friend’s new rerelease CD! May I post it on her Facebook page? Thanks for your comments. I’m really pleased that you enjoyed the review. Especially since you’re a friend of Betty Harris’. I thoroughly enjoyed writing about Betty’s music and telling her story. Feel free to share the review on Facebook. Finally, I hope that Betty is in good health. Please pass on my good wishes. I’m considering writing a followup article on Betty. So any information on her career that’s not in the article would be greatly appreciated.